Over the last few years, the harm caused by Single-use plastic to agriculture, animals, oceans and marine life has been making news almost every other day. According to a UN report, less than 10% of 9 billion tonnes of single-use plastic has been recycled by now and it has come as an alarming statement. In an encouraging decision yesterday, EU Parliament passed a resolution of banning single-use plastic, which will come into effect soon. 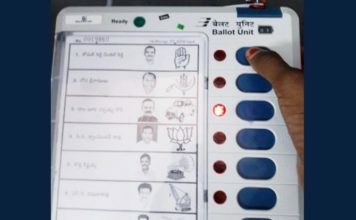 In a bid to save the environment, there are a number of individuals, organizations, and companies coming forward with innovative solutions which show us hope for a brighter future ahead. One such company is EcoRight. Operating from a modest setup based out of Ahmedabad, Udit Sood, founder of EcoRight, carries a vision bigger than any startup could imagine- saving our planet from the abuse of plastic. “We are a young startup trying to reduce the use of single-use plastic bags by educating people about the ill effects of plastic and providing alternative bags made of eco-friendly, natural fabrics that go beyond single usage and does not pollute the environment. says Udit Sood, when asked about EcoRight. Udit Sood, the founder of EcoRight is an MBA from IIM Calcutta and has worked in large organizations like Hindustan Unilever Limited and Zomato. Brought up in an eco-conscious household, the idea to start EcoRight was always on his mind. “We make bags with reusable, recyclable and eco-friendly products like cotton, jute, juton and recycled cotton that are manufactured in ethical facilities,” says Udit Sood, when asked about what makes the bags different. But it is not just the fabrics they use, that sets them apart. As a startup that is focused on addressing the plastic problem, their designs are a witty take on marine pollution, animals, and ecology around us. 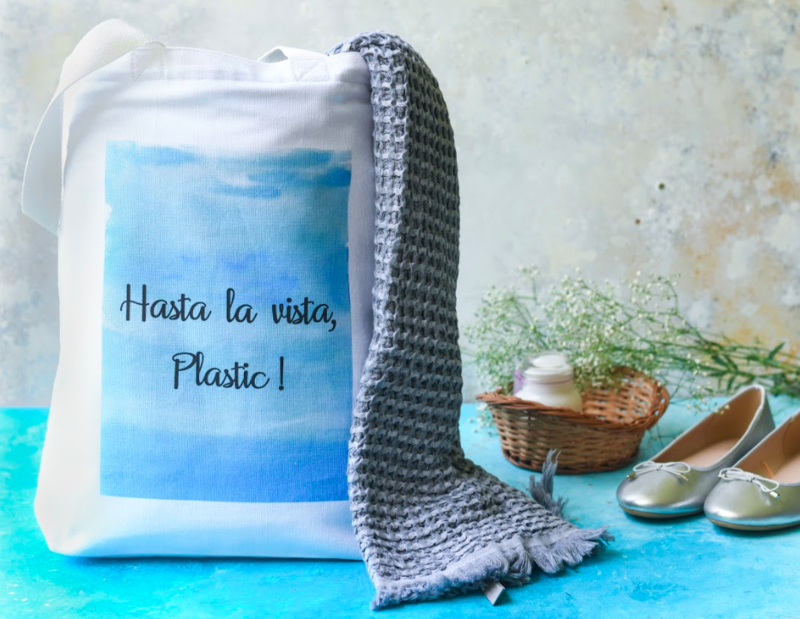 EcoRight’s ‘Hasta vista plastic’ tote bag that inspires people to bid goodbye to plastic. They beautifully resonate with the millennials instead of being preachy and subtly approaches the problems of marine pollution while introducing sustainable living and affordable ethical fashion to all. Talk about their packaging being plastic and Udit interrupts. “Plastic has always been a problem. There’s no point of selling eco-friendly bags in plastic packaging. So we re-thought our packaging and went completely eco-friendly with our packaging material made from corn, wheat, and potato starch. EcoRight has its presence on all the major Amazon’s across the globe (India, US, Canada, Europe, Australia, and the UK ) apart from being on Flipkart, Paytm, Meesho, Propshop24 and ship to 228 countries. It’s huge, the sheer magnitude of the problem demands attention on a massive scale. One important thing that the EcoRight team realized was that there is a need to get eco-friendly to go mainstream. Eco-friendly has always been looked upon as boring or expensive. They set out to change that perception. One of the opportunities that the team has grasped at lately is collaborating with Disney and Marvel to create official eco-friendly merchandise. It is a huge step for a young startup to work with the biggest media brand in the world! 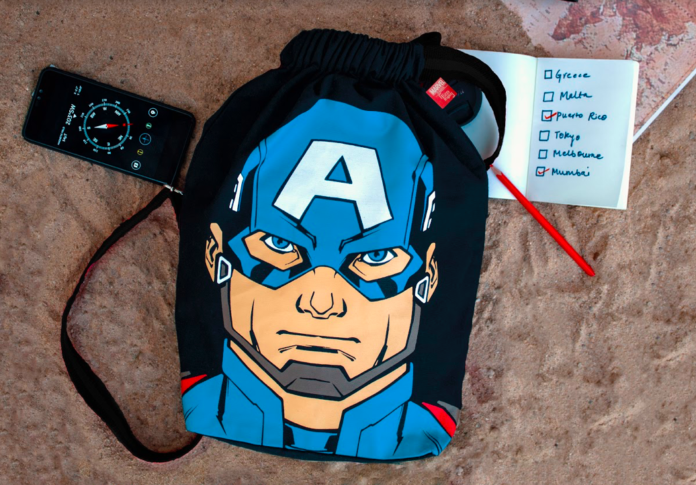 “We want people to go eco-friendly, adding popular characters to the bags makes the bag attractive along with being eco-friendly” says Udit. As a startup, business should ideally be their main focus but this is not the case with EcoRight. Apart from being actively involved in various CSRs, EcoRight is relentlessly trying to meet the SDGs set by the UN. They are currently fulfilling 10 of the 17 SDGs by providing fair wages to our workers, ethical working environment, employment to women, education loans for the worker’s children, responsible production, clean water, sanitation at their premises and clear sexual harassment guidelines giving everyone a decent work environment, irrespective of gender. All their manufacturing facilities are ethical, socially, legally and environmentally audited as per the SEDEX 4 Pillar standards. EcoRight is saving our planet, one bag at a time while striving to establish themselves as a mainstream lifestyle brand.